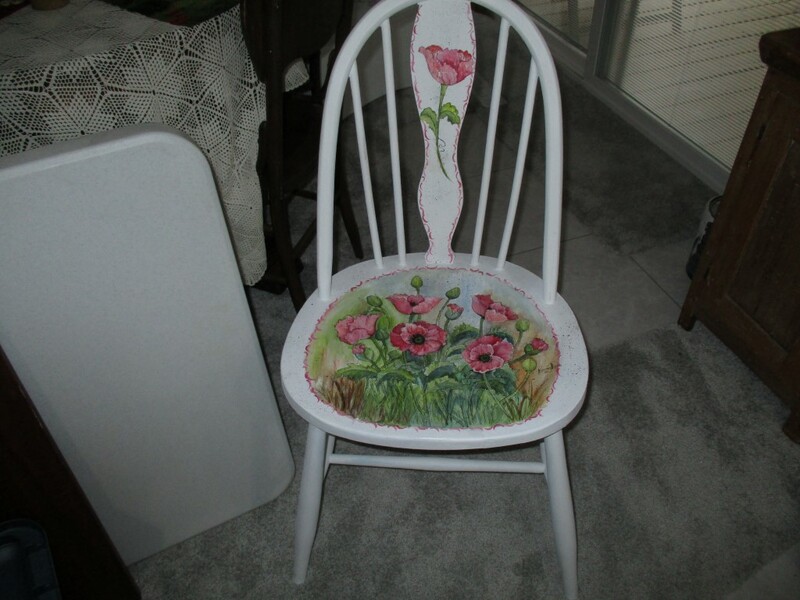 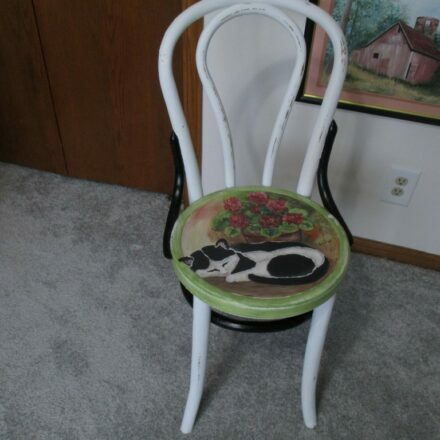 Shabby Chic antique chair designed with Poppies, chair painted with chalk paint. 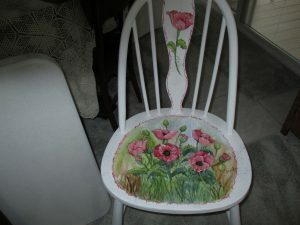 Several different hues of red, pink, rose mauve Poppies with the background in green and blue tones which would accent any decor. 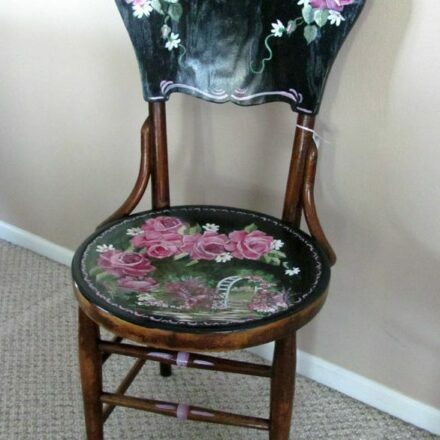 Very attractive chair. 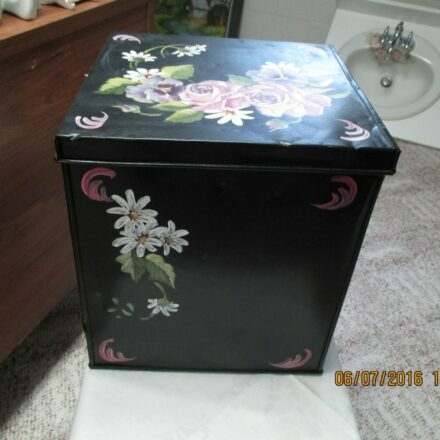 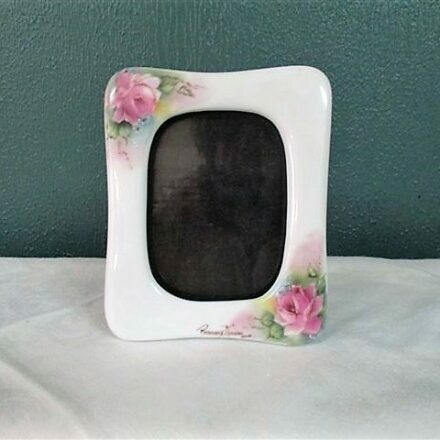 I can envision it setting beside a fireplace or in an entry way.